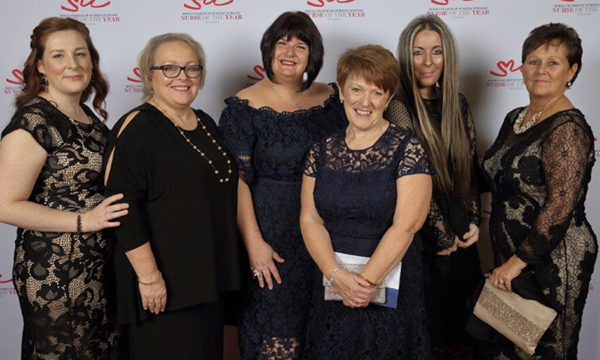 Runner up at the 2017 RCN in Wales Nurse of the Year awards, Eirlys Thomas wants active engagement in better care for children by making sure their voice is heard. Eirlys Thomas, head of nursing in neonatal and children’s services at Abertawe Bro Morgannwg University Health Board, Wales, has put the voice and rights of children at the heart of her work. Ms Thomas began her vision to develop a charter for children and young people, encompassing the statements from the United Nations Convention for the Rights of the Child document, in 2014, and it has now been ratified by the board’s executive committee. 'It is the only NHS organisation in the UK with this charter, and the Welsh government is looking into its progress to see if it can be applied elsewhere', she says. Ms Thomas, who was runner up in the children and midwifery category at the 2017 RCN in Wales Nurse of the Year awards, initially trained as an adult nurse in Swansea, and had planned to become a midwife. However, when she registered in 1983, she started working in a high dependency unit and then in intensive care, and became engrossed by the work. After further training in intensive care in Hammersmith in London, she returned to Swansea and, in 1987, became a sister of an intensive care unit caring for children and adults at Morriston Hospital. ‘I was looking after quite a few children and loved it, and went to Swansea University to do a short introduction into children’s nursing,’ she says. Keen to stay working with children, Ms Thomas managed to get on an accelerated six month course at Swansea University in 1996 to become a registered children’s nurse. She then got a secondment as a sister to a children’s burns unit at Morriston Hospital. ‘I was lucky to get it and I never looked back,’ she says. From there she moved to a general paediatric sister’s post, running a 36 bed surgical and medical ward. While there she also saw the need for, and created, a four bed high dependency unit to care for children. While filling in as a clinical nurse specialist in children’s services at the hospital, Ms Thomas found her role required an in-depth knowledge of safeguarding, so she undertook a master’s degree in children’s welfare and applied child health studies in 2005. Soon after she became the lead nurse for children’s services at Morriston Hospital and Singleton Hospital in Swansea, until difficulties in filling the medical rota meant that both services needed to be merged to one site. Moving all services to Morriston Hospital and integrating the two sets of staff was a challenging few months, she says. Abertawe Bro Morgannwg university youth forum board. Now head of nursing, neonatal and children’s services, Ms Thomas works in collaboration with services across the health, education and social care sector to engage and include as many children and young people as possible in service development. Ms Thomas works to ensure that the vision is embedded in all aspects of the sector, including a new children’s and young people’s strategy for the board, and developing a youth board to ensure that the voice of children is heard clearly. 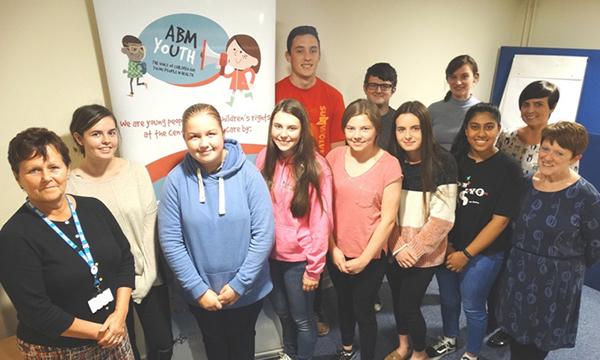 Members of the youth board inspect services and hold the health board to account in the delivery of services for children and young people. ‘One of the things I have learned is that if you get health right for children, then they will grow up to be healthier adults,’ she says.